Table Mountain Casino brings ‘Mega Mountain Jackpots'! FRIANT, CA - Table Mountain Casino has introduced hourly cash payouts in addition to the regular winnings on all of their 2000 slot machines. The press release from the casinos said: "The Club Members* at Table Mountain Casino are now the first in the valley to experience the new MEGA MOUNTAIN JACKPOTS! Available on all of Table Mountain's 2000 slot machines, players can WIN BIG and WIN FAST every hour of every day with Massive Cash and Rapid Bonus Jackpots ... yet another reward for The Club members! Located in the heart of Central California and voted the 2008 People Choice Award Winner for Best Local Casino, Table Mountain Casino is the only valley casino to feature these jackpots that are guaranteed to have a cash payout of between $20,000 and $50,000 in addition to the regular winnings. "Available on every denomination slot, video reel and video poker machine, MEGA MOUNTAIN JACKPOTS offer players two additional distinct opportunities to Win Big and Win Fast with the Massive Cash and Rapid Bonus Jackpots. Both Massive Cash and Rapid Bonus can pay out at any time on any of the 2,000 slot machines, and best of all, these random jackpots are in addition to the regular winnings! "The Massive Cash Jackpots have a minimum cash payout of $20,000 and MUST hit by the time they reach a cash payout amount of $50,000. Remember, this payout is in addition to all other winnings; guaranteeing an additional win for random lucky Club members. "The Rapid Bonus Jackpot will give players on all denomination slot, video reel and video poker machines up to $50 in Free Bonus Play several times an hour, several times a day, every single day! Those winnings add up fast! 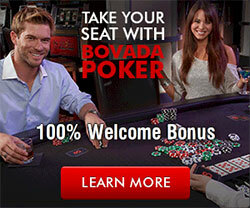 Rapid Bonus is also in addition to all other winnings. There is no minimum bet required to win a MEGA MOUNTAIN JACKPOT and membership in The Club is free.